Facebook is dominating the content marketing field but due to its longevity, users have to come up with new ideas every time they want to take advantage of Facebook. Here making a strategy for Facebook can help in engaging targeted customers. Facebook promotion is guided by the objective, content and the targeted audiences but the most important factor to consider in Facebook marketing is a temporal arrangement. 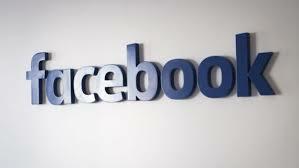 The most effective way of Facebook promotion is shown by Adweek with trial and error method. It is recommended that posts should be made in a weekday and Friday. An infographic showing ideal time for making posts is also provided. It suggests 1 PM for posts to share and 3 PM for posts to like. The suggested time might not be favorable for making posts but a temporal arrangement will certain help. Also one should avoid making posts when competitors are posting on Facebook. Angle Pascale of Clickz simplifies value of adding pictures to Facebook posts in numerical terms and also gives seven tips for improving Facebook images. Pictures receive 53% more likes and 84% additional link clicks than posts. If anything can make a difference to marketing is a contest and free stuff and it applies to Facebook as well. The stuff could have little value for your business but it could be very useful in Facebook promotion. According to Wishpond, 34% users “Like” promotion/discount material and 21% respond to freebies. Wishpond also explains seven returns of Facebook contests. Boosting Facebook post is a nice idea to expand your reach and increase the engagement potential. A boosted post could be a post from your business page and it will be displayed above the news feed of targeted audiences. Post boosting will be done at a price determined on the number of impressions in a given time. But you should know which post you should boost. Facebook activities of your visitors show likes and dislikes of the visitors. It is valuable data that can help find who your audiences are and what their likings are. Facebook can make it easy for you to distinguish customers from visitors from its “Audience Insights”. It shows what keeps your audiences engaged. Social Media Examiner summarizes it as the data-led understanding helps in determining market value of posts, pictures and contests so that you can choose right posts. By now, you know who your audiences are and what they like and dislike. A good judgment can save you from feeling embarrassed on Facebook and you will be able to take full advantage of the social media in furthering your business interests. Facebook provides endless opportunities to introduce new businesses, promote products and aware customers about services but the objective of Facebook promotion can be achieved only by making a strategy that includes everything from choosing posts and pictures to determining right time to share posts and pictures and ways to engage customers.